This beautiful almost 1/4 of an acre property is located on a lovely quiet street on the water. 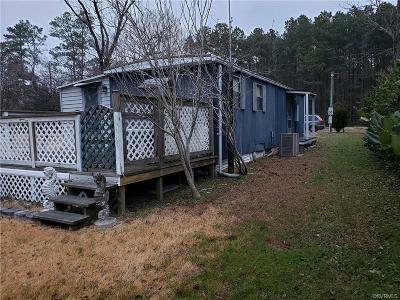 The mobile home needs some paint and minor repairs, it has 2 bedrooms one bath and a great room, a small kitchen, Ideal for fishing, Family, and summer fun. Directions: Turn Left Onto Timberneck Rd Off Of Route 33. Take Another Left Onto Piney Point Rd, One More Left Onto Honeysuckle Ln.